A nice way to enhance your design is by having the video play in the background. 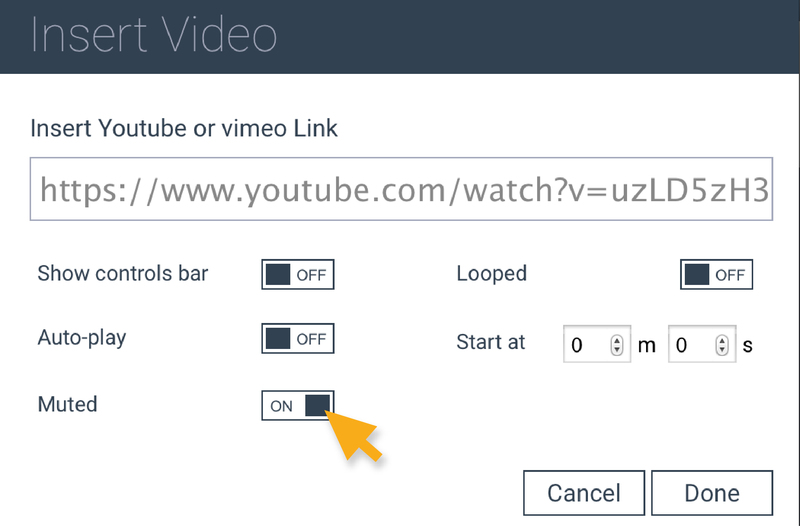 Go to the Video Settings by clicking on the Video icon. Select Muted to have the video play without sound. Select the Show Controls Bar option under Video Settings. Close out or click Done. To check if the control bar appears, select Preview from the top right of the screen. Look at the overall design and adjust and make changes as needed. 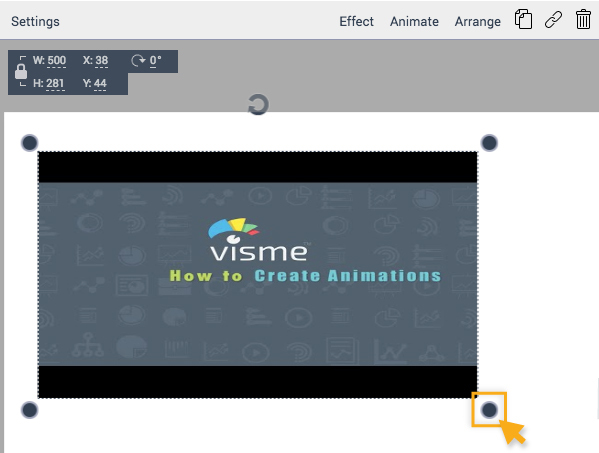 To have the video set as a background, you want to move it behind the other objects on your design. Click on the video, so the edges are visible and then drag the blue dots to adjust the size to fit the background. 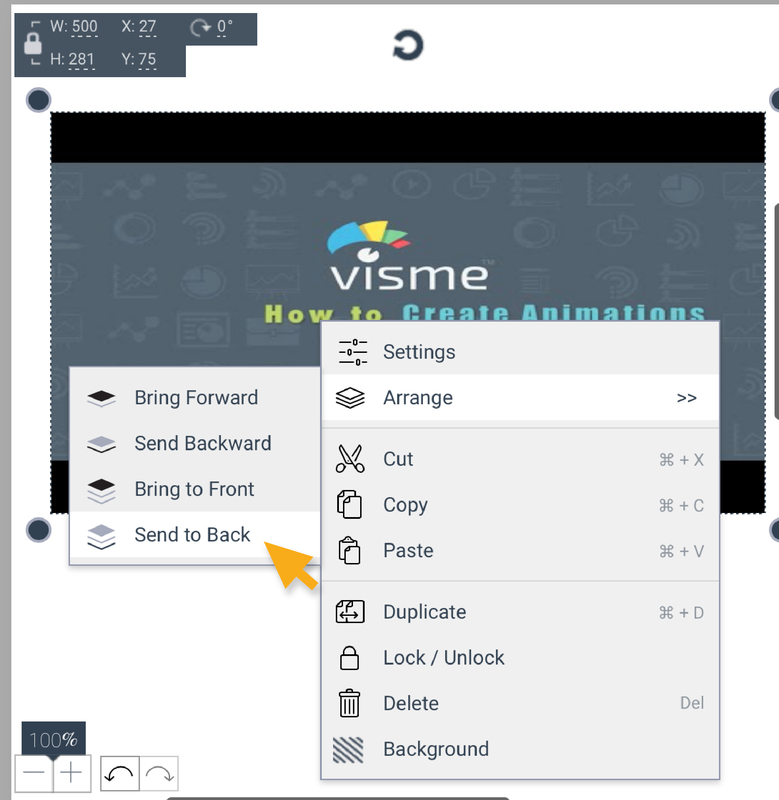 Right click on the video to select Arrange > Send to Back to set the video as background. Or select Arrange on Property Panel at the top. You may lock objects by right click on the video to select Lock/ Unlock. 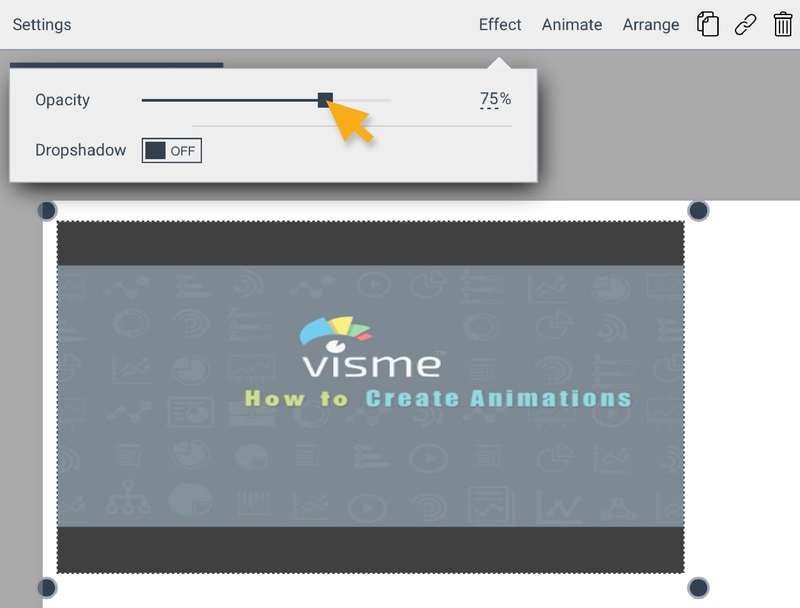 This allows you to work on your design without accidentally moving the video. Click on Effect on the Property Panel at the top to change Opacity that you want for your design. Select the level you would like, and then choose Preview to see how it displays on your design. 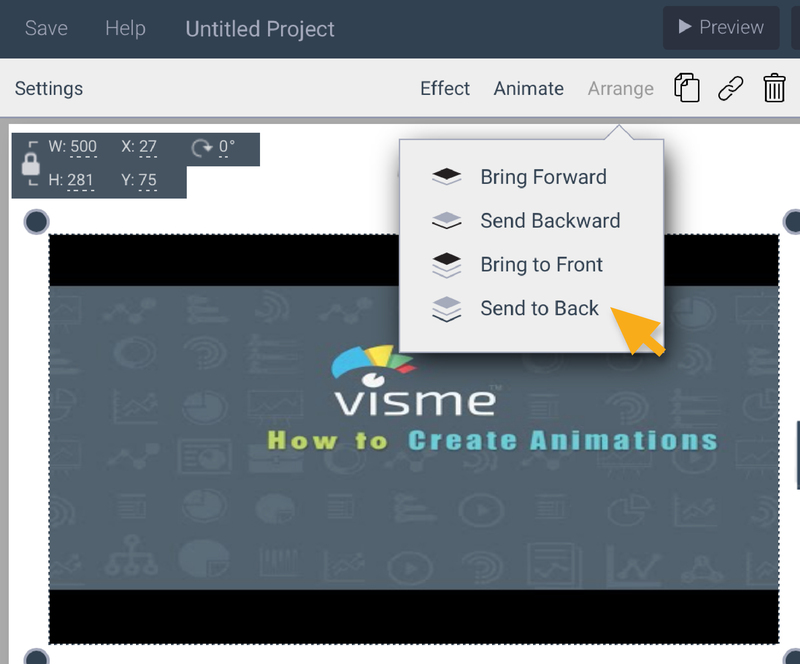 To return to the editor, select Close Preview from the top right of the screen. 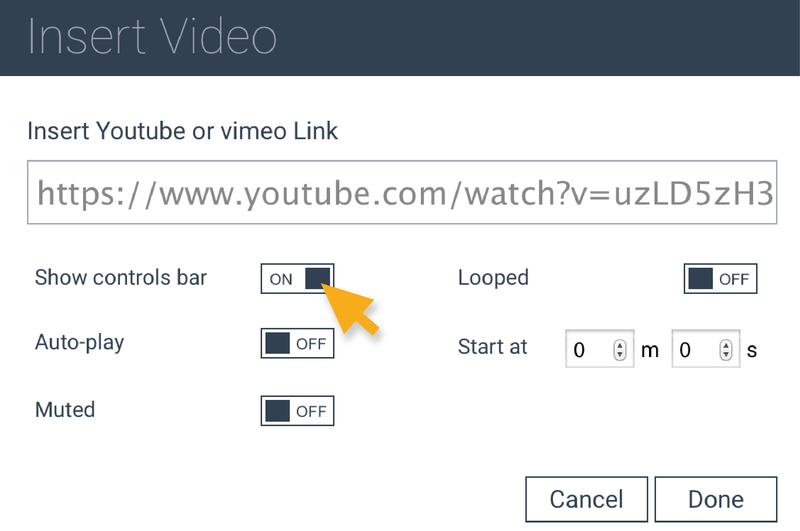 When adding video as background you may want to mute or make it automatically loop. 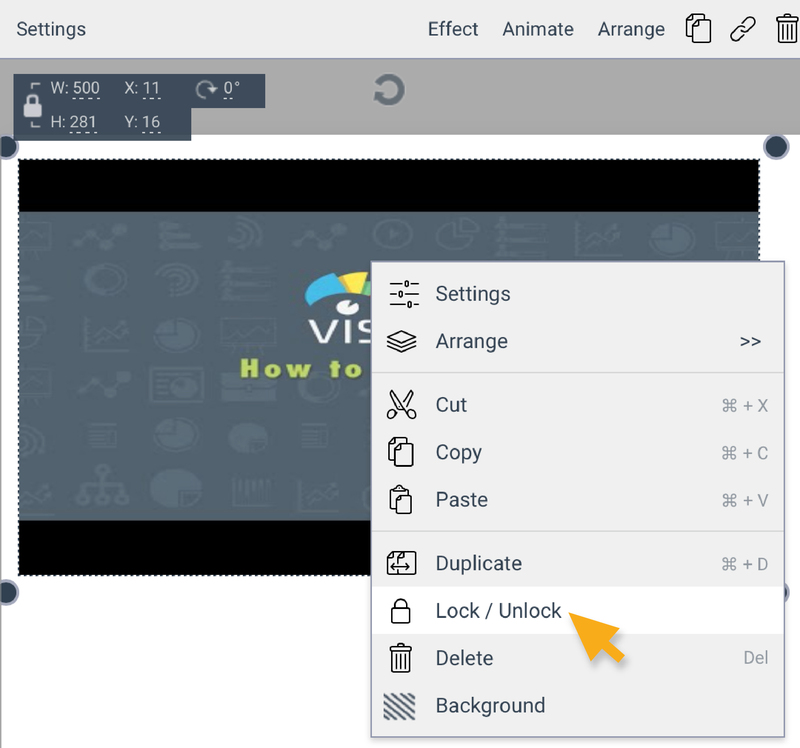 You can manage these by double clicking your video.